Thinking of Selling your French Property Privately in 2018? Home > Essential Info > French Property Sales > Thinking of Selling your French Property Privately in 2018? 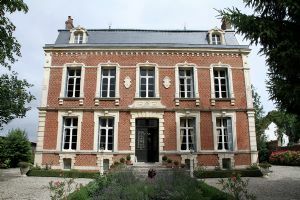 If you've got a property to sell in France, have you considered the option of selling privately, without using an estate agent? 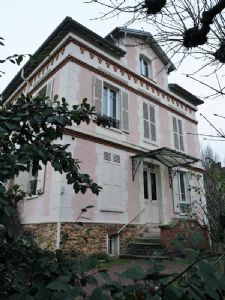 In the UK, most sellers automatically turn to an estate agent, but in France this is often not the case. In fact, around half of the properties sold in France are sold privately. Immobiliers, or estate agents, in France charge a lot more for a sale than UK agents do. Although traditionally the practice used to be to charge the commission fee to the buyer of the property, these days it may be the seller who pays the agent. Either way, the fee is likely to be substantial (up to 10% is not uncommon), so doing away with it will definitely save somebody money! 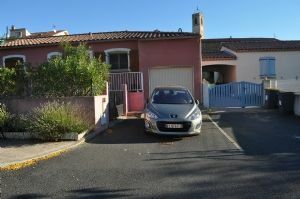 Many people have sold their properties through French Property Links (FPL), without having to use (or pay!) an estate agent. A typical advertiser commented: "The house is now sold and I must say I would not have sold unless I advertised with you - the response has been wonderful. All year I had people coming through off the site, so thanks, keep it up and I will recommend you where I can." Neil K.
Selling? Advertising with FPL has so many benefits! If you're planning to sell your French property, before you engage an agent take a look at what FPL can do for you. FPL has great search engine positions so your property will easily be found. The site is simple to use, and it's really easy to upload your property description and photos. And, if you do need help, the friendly team are standing by to help and advise you. There are thousands of serious buyers visiting the site every day and their enquiries come directly to you. When you choose to advertise with FPL, you might find there are additional benefits on top of the very reasonable rates, great ads, friendly help and powerful internet presence. FPL frequently publishes articles just like this one, so your property can benefit from extra special exposure too! Did you know that you can now not only link your advert to your own website, but you can upload up to 100 extra large photos to help sell your property on FPL? Research has proved that photos sell properties, so we figured you couldn't have too much of a good thing. A picture's worth a thousand words - even more so when you consider that would be purchasers have to travel a thousand miles or more in many cases to view the property. If they can get a really clear picture of it in the comfort of their own homes, they're more likely to be serious buyers when they arrive to view. To get an idea of just how good FPL's ads are, take a look at these properties. Whether you have a mansion, a cottage, or even a lake, you need an advert to do it justice. And that's exactly what FPL can do. Cherry cottage sleeps 8 & is ideal for a family holiday home & getaway. It has one double bedroom, 2 twin bedrooms & 2 single sofa beds. 2 bathrooms (each with a bath, shower & wc), fully fitted kitchen with all appliances, dining room (accommodates 6), lounge with Sky box & sat dish can receive English TV channels. The property has been fully re-wired & re-plumbed. Currently fully furnished & all furniture is in very good condition. If desired all furniture can be left at no additional cost. 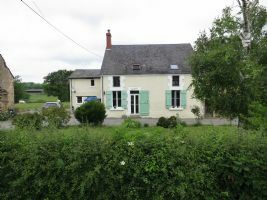 FULLY RENOVATED Superb Detached 4 Bedroom House in Quiet Hamlet yet only 7 mins from the Main Town of La Chatre. New Kitchen, large log burner to family room, newly installed top of range double glazing. Totally private position & wonderful views from 2.5 ACRES to REAR - suitable for horses. Very large barn (to renovate). 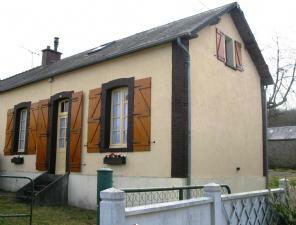 Also attached 2 bedroom annex to refurbish into a gite (sound roof & new septic tank). There is a golf course & complex 5 mins away by car, which has 2 swimming pools (1 indoor & 1 outdoor), solarium, restaurant etc. SALE or EXCHANGE for property Oxford area. 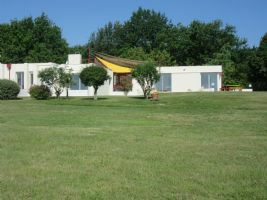 13 Year-Old 3-Bedroom Bungalow on Outskirts of Midi Pyrenees Mt. Three bedrooms, two toilets, garden and garage. Rural Location, Outskirts of Midi Pyrenees Mt. Good Neighbourhood. Immediately habitable. This furnished unit is one of the finest. Completely upgraded and remodeled. Travertine tile, Burgundy stone, two bathrooms, two bedrooms, kitchenette, sitting room, radiant heating, peaceful park views. You will love to spend time in the expansive common area including two magnificent banquet halls, vaulted basement, "English" bar, billiards room, library, fitness, wine cellar, expansive kitchen and the lovely natural setting of a three-hectare park directly adjacent the golf course. 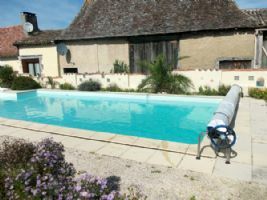 Beautiful large mansion with 2 separate outbuildings, fully restored, in small village in the north of France in a rural location. This stunning contemporary villa, on the edge of a golf course, is ideal for nature lovers seeking a haven of peace and tranquility. With stunning views on the countryside, on 6 hectares of wooded land, the property includes 190m2 of living space: large living room, dining room, kitchen, 3 bedrooms & study. Completely open throughout to the outside, the property is great to live in. The heated swimming pool includes a spa, motorised cover & counter-current. Can be sold fully furnished & equipped. 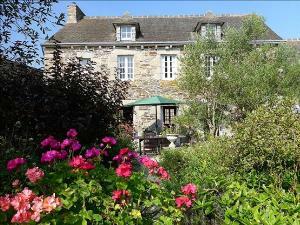 Brittany manor house and separate cottage - in all 8 bedrooms, 6 bathrooms and vast living spaces (total living accommodation 650m2). The property has been carefully restored and tastefully decorated to provide an authentic luxury home. On 6250m2 of land with heated outdoor swimming pool. The property also features underfloor central heating throughout, centralised vacuum cleaning system & many security features. Huge potential as B&B/gîte business. Detached family house, 600m from the marina and Sciez beach, with a private swimming pool, a great garden and with a view of Lake Geneva (Lac Léman). Living space 185m2, total surface 325m2, 6 rooms, including 4 bedrooms. Modern construction built by local craftsmen with high quality materials. High efficiency isolation. Wooden structure covered with red cedar. Three-phase power supply. Fully automated home, with two alarm systems connected to a central security company. 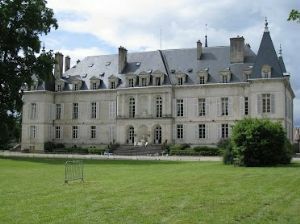 Near Paris, property of about 280m2, in perfect condition on around 1400m2 of land. The house finished with quality materials on 4 levels. Garden level with independent access: cinema room, workshop & laundry. Grnd flr: hallway, fitted kitchen, large living room & access to terrace & dining room + fireplaces. 1st flr: large bedroom + shower room. 2 other large bedrooms. Office (or 4th bedroom). Bathroom & wc. 2nd floor: large master suite: bedroom, lounge area + bathroom, dressing room & wc.